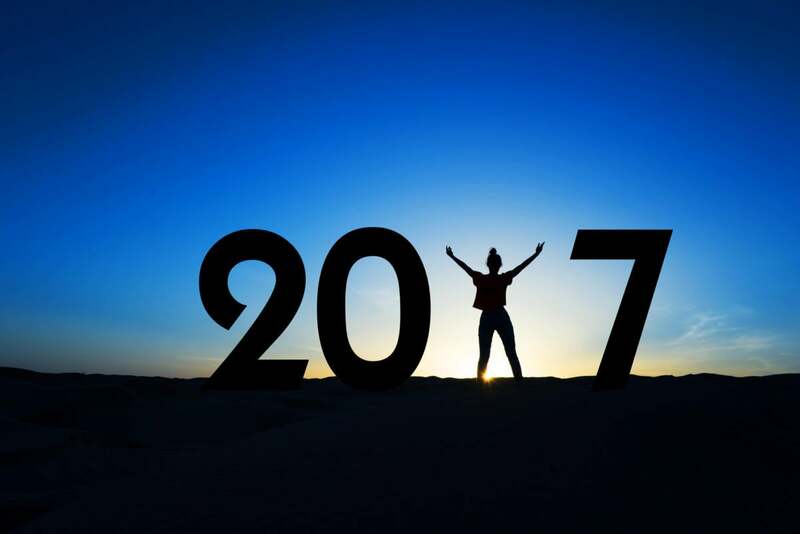 According to new research from Robert Half Technology, 2017 will remain a ‘stable’ hiring environment, with a focus on security and upgrades to existing IT systems and infrastructure. Only 16 percent of U.S. CIOs surveyed plan to expand their technology teams in the first half of 2017, according to the research, but 69 percent of respondents say they will hire for existing open IT roles. Only 12 percent say they're putting IT hiring plans on hold, and 2 percent say they will reduce IT staff in 2017. Finding the talent to expand IT teams or to fill vacant roles remains the biggest challenge for CIOs, according to the research; 61 percent of respondent say it's "somewhat" or "very" challenging to find skilled IT professionals today. It's an interesting juxtaposition, considering only 15 percent say they are focused on retaining staff. "Cybersecurity has become a number 1 priority for many of our clients, and we don't see that abating anytime soon. There is nowhere near enough available talent to fill the demand for these roles. 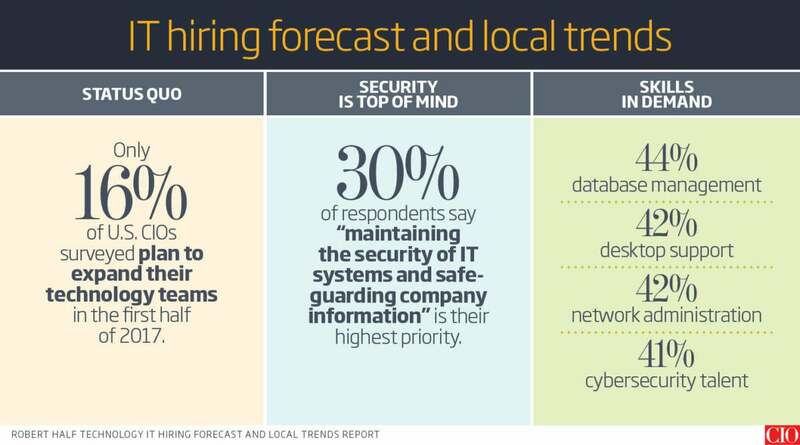 And another area that stagnated last year but has increased in importance is network administration professionals and network engineers," says Stephen Zafarino, Director of Recruiting at IT staffing and recruiting firm Mondo. If full-time talent isn't available for these roles, organizations will increasingly turn to the gig economy and find skilled and specialized contractors to ensure projects are completed, says Reed.